Tim Bowen Antiques, Carmarthenshire, Wales New broom! Although we are antique dealers and so by our nature we tend to live in the past, we want to bring ourselves up-to-date with a freshen up to our website in 2019. Many of you have told us that you like our site and find it easy to navigate. You have told us you like being able to see the prices and clear pictures. But you might not have told us things that you aren’t so keen on, or perhaps that we could do better. We intend to keep all the things that we are proud of and add some new tools which will help your enjoyment of our site, maybe a search tool and a magnifier to see things close-up. Do let us know if you have any thoughts or suggestions. Happy New Year to all our lovely, loyal customers and we look forward to hearing from you in 2019. 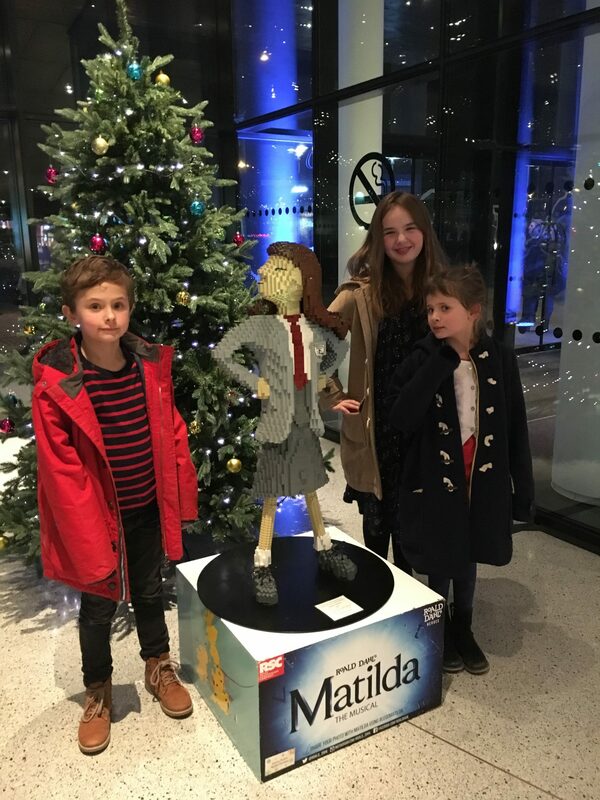 On the basis every post should have an image and because I wanted to avoid something boring like a large question mark – I thought you’d like to see the children, next to a Lego model of Matilda on a Christmas trip to Cardiff.